I often find myself abroad over the Christmas holidays, which has allowed me to observe what some other cultures do around that time of year. From decorations, parades, and food, here are some Christmas traditions from around the world, starting with my home country, Canada. Fir and pine trees grow abundantly in Canadian forests as well as in people’s yards. We even have Christmas tree farms that let you buy a cut tree for your living room. You’ll find those beautiful, and sometimes enormous, trees dripping with glitzy ornaments and little lights both outdoors and indoors during the holidays. Canadians celebrate Christmas either on the day or the eve of December 25th, with a big meal involving turkey, and the exchange of gifts. In Quebec, the food traditions also include “tourtière” (a mincemeat pie spiced with clove) and a jelly-roll cake iced and decorated like a log called “bûche de Noel” (literally “Christmas log”). Large cities organize a Santa Claus parade, and Santa is found in many public venues having his picture taken with the young ones. When there is no lineup, older folks are sometimes seen posing with Santa too! 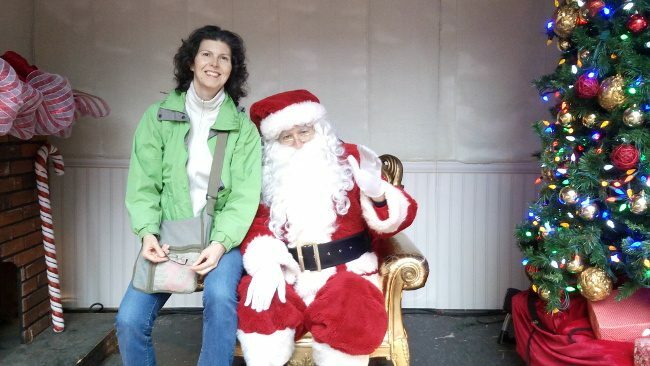 Me with Santa (Toronto Christmas Market) – this pic is from last week! 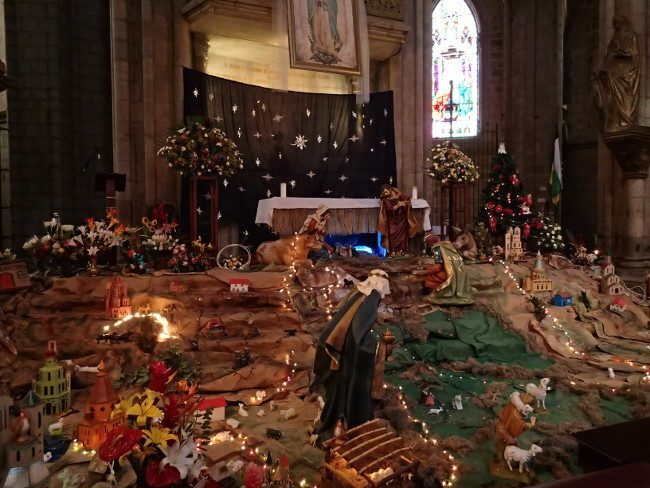 As a very religious catholic country, Mexico (and Latin America in general) puts a lot of emphasis on nativity scenes. 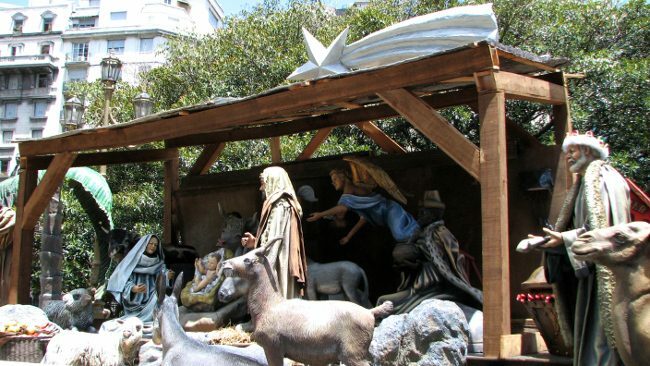 You’ll find large nativity scenes inside churches of course, but also in parks and other public areas. People have them in their homes as well. They can be real works of art. You also find “Christmas trees” in Mexico, but since they lack fir trees, they need to get creative. They may decorate existing trees, or just build them out of cardboard or plastic. In the village of Cancun, I saw a tree made entirely from empty 7-Up bottles! January 6, known as “El Dia de los Reyes” (Kings’ Day) is when Mexican children receive their presents, which are left by the three kings (wise men) rather than Santa Claus. 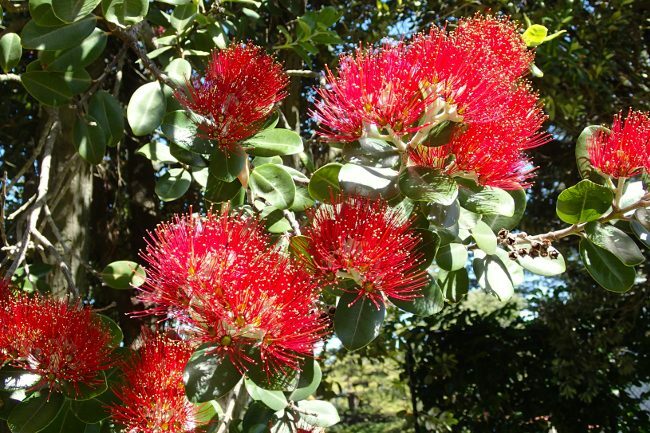 Because New Zealand is located in the southern hemisphere, Christmas is celebrated in early summer. 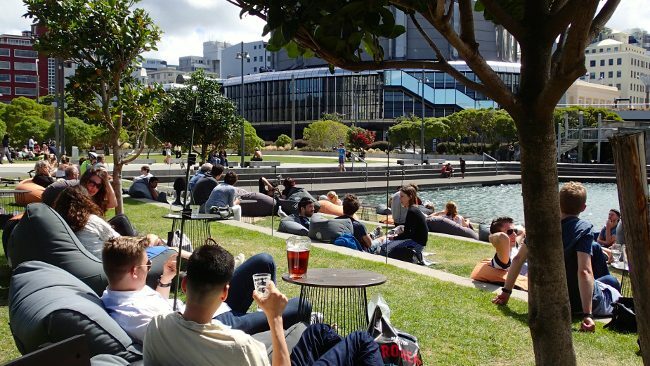 On December 24, people get out of their offices by mid-day and may be found having a beer outdoors if the weather is nice. Many Kiwis will often have a barbecue for Christmas lunch, just like they do in Australia. The pohutukawa is a native evergreen New Zealand tree nicknamed “Christmas tree” because of its festive red flowers that bloom for only a short time in December. People do not use those as indoor Christmas tree though, preferring artificial (and more conventional-looking) fir trees. 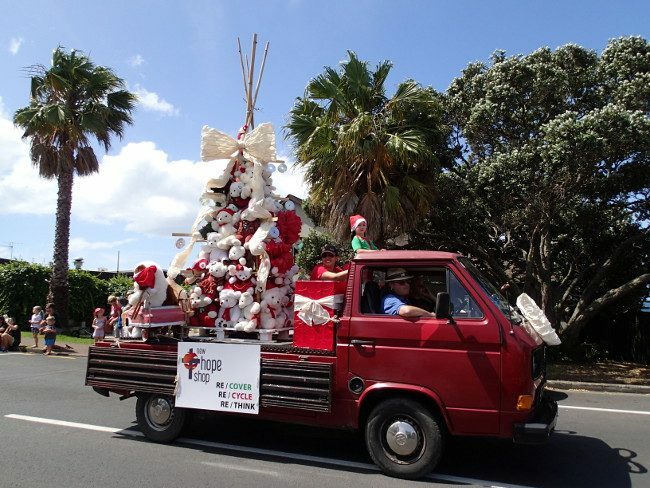 Santa’s parades are common in New Zealand, although mostly commercial events. Even the smallest towns get on the act, with decorated floats, marching girls, and bands. Because of the warm weather, the parades do look a little different from their cold-climate counterpart, and are a lot more comfortable for the audience lining the streets. 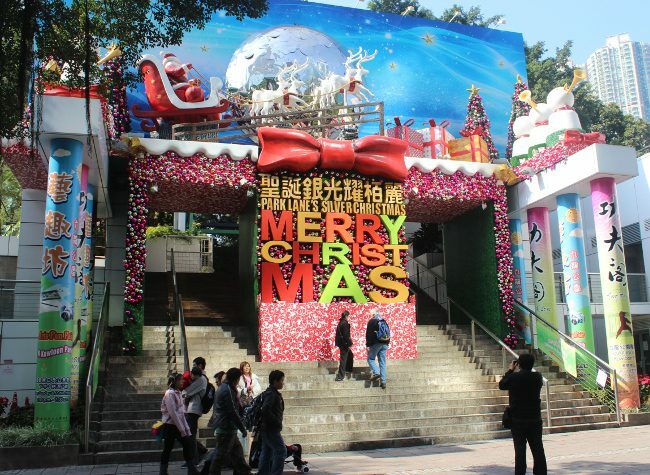 Although Christmas is not a traditional Chinese holiday, you couldn’t tell looking at all the Christmas decorations in the malls, hotels, and plazas. But for me, the most arresting holiday displays are the animated light shows that climb up the skyscrapers’ walls, perhaps because I haven’t seen anything like it anywhere else. 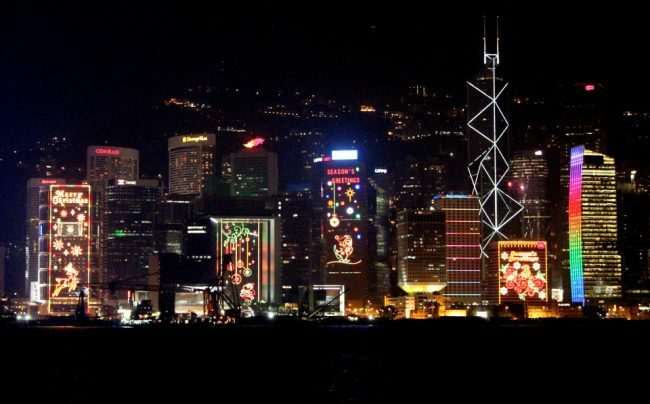 In addition to the European and North American expats, some Hong Kong Chinese are Christian, so they offer church services in both Chinese and English in the city. Thailand is 97% Buddhist so it’s fair to say that Thais don’t celebrate Christmas. 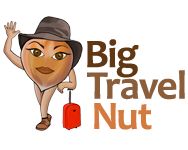 However, since they’re a gracious people and welcome many visitors from Western countries, you’ll often find Christmas trees or ornaments of various sizes adorning guesthouse lobbies, tourist restaurants, or even beaches! 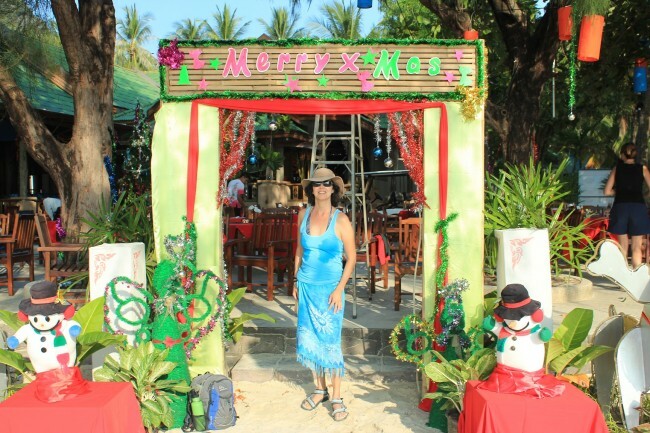 Snowmen may look a little odd in the tropical heat, but who cares when you’re on a Thai beach for Christmas! If I’ve made you curious about other Christmas traditions around the world, you can also check out Two Dozen Christmas Traditions Around the World as well as this site for a more complete list. 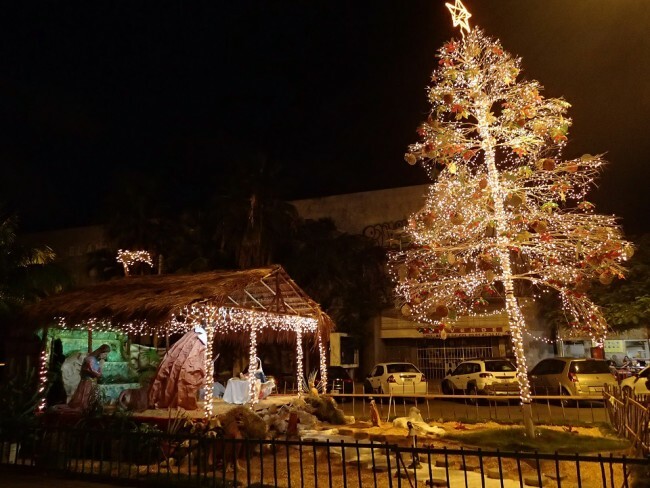 What are some of the Christmas traditions in your part of the world? Please share in the comments.